STUNNING 2014 CHEVROLET IMPALA 1LT LOADED WITH WOODEN TRIM,REAR VIEW CAMERA, REAR DISTANCE CONTROL SENSORS, BLUETOOTH, BLUETOOTH MUSIC STREAMING, PREMIUM SOUND SYSTEM, SATELLITE RADIO, SMART RADIO, USB AND AUX INPUTS, LEATHER INTERIOR, 3 STAGE HEATED SEATS, LEATHER WRAPPED MULTI-FUNCTION STEERING WHEEL, ON BOARD COMPUTER, TPMS, POWER WINDOWS, POWER MIRRORS, POWER DOOR LOCKS, ALLOY WHEELS, GOOD TIRES WITH ABOUT 90% TREAD LEFT ON THEM...... .PRICE IS BASED ON $2,000 DOWN PAYMENT,PURCHASE OF THE EXTENDED SERVICE PLAN FOR 2 YEARS AND 24,000 ADDITIONAL MILES.......TAX, TITLE, REG. DEALER FEES ARE NOT INCLUDED. 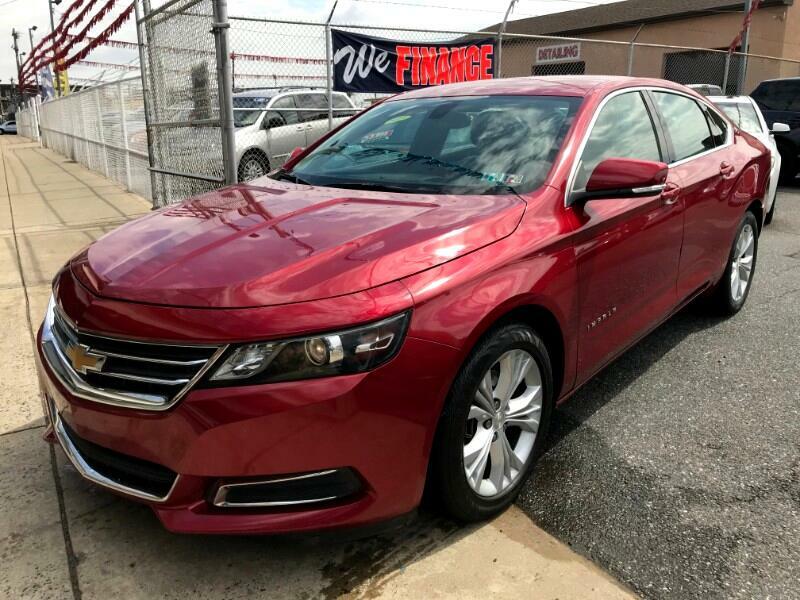 Visit The PA Kar Store, Inc online at pacarstore.com to see more pictures of this vehicle or call us at 215-288-5277 today for details.